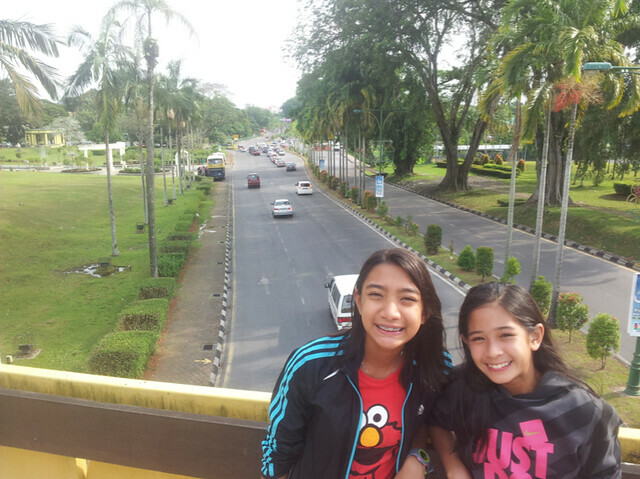 Kuching, MALAYSIA–The City of Kuching is much like Cebu, only smaller. Their biggest mall here is called The Spring. But, compared to our SM City or Ayala Center, theirs offers less tenants and food stops. We’ve been here since Tuesday. After five days of smashes and drop volleys, the 8th Sarawak Asian Tennis Federation (ATF) Under-14 (Years Old) Tennis Championships finally ends today. How did Team Philippines do? In the Boys 14 category, Jed Olivarez of Manila will play Daisuke Sumizawa of Japan in the best-of-three final this morning. The 13-year-old Olivarez, the nephew of Philta president (and Congressman) Edwin Olivarez, faced a tough semifinal match yesterday. He was down a match point but prevailed, 4-6, 6-4, 7-6. Iggy Pantino, our very own from Cebu, also did well. Against much taller 14-year-olds, the 11-year-old USC student won three matches and lost two. Girls? Our best showing was the runner-up finish in the Doubles of Rafa Villanueva and Khym Iglupas, who held two match points in the 3rd set super-tiebreak before losing to an Indian pairing. My daughter Jana did well. Despite losing in the first round against the 3rd seed (Kaaviya Balasubram of India), she won her next three matches. First, against Kuala Lumpur-based Tara Afzalirad of Iran. Their score: 6-1, 6-0. Two days ago, she faced one of Kuching’s top Under-14 players (Kristin Leong) and beat her, 6-1, 6-1. 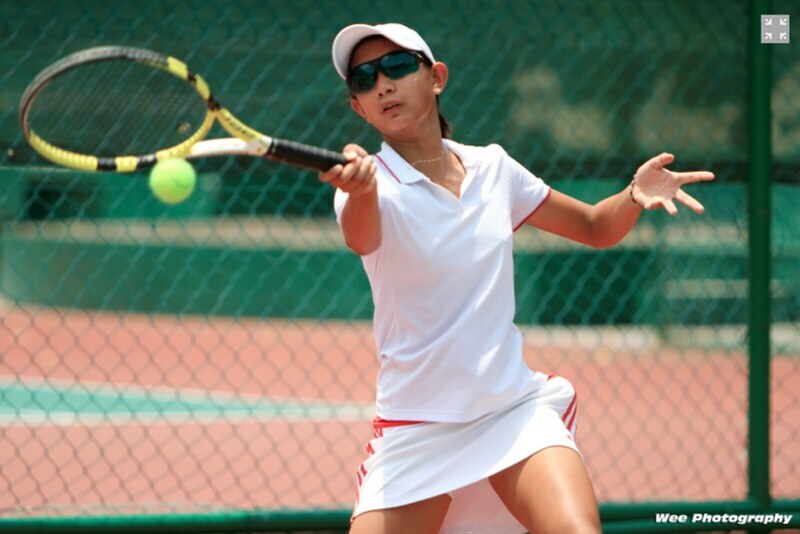 Then, yesterday, under the scorching heat of Malaysia, she beat the Beijing-based Chinese player, Lu Hui Ting, 6-1, 6-2. Three wins. One loss. Good result for Jana. This is her first international tournament. And while before she’d say she had beaten or lost to someone from Cagayan de Oro or Davao or Bacolod, this time, she can say this: She lost to a player from India and beat others from Iran, Malaysia and China. What a terrific experience for a 13-year-old. As parents, Jasmin and I are so proud of Jana. And we wish the same fulfillment for all parents who convince their children to do sports. This is the beauty of sports. You get to compete. You get to travel. You get to meet different people from various nations. TENNIS CENTRE. The venue? It’s the sprawling Sarawak Lawn Tennis Association courts. It has 12 hard-courts near the center of town and they plan to build five more. In the whole of Malaysia, it appears that Kuching is the tennis capital. 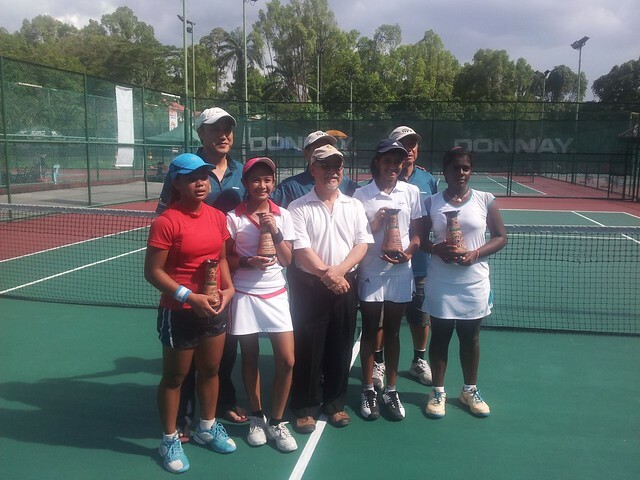 They have the U14 Asian Championships plus several more ITF events throughout the year. The Tennis Centre employs three full-time coaches, all Cebuanos: Ariel Logroño, Brian Kintanar and Francis Largo. Not too long ago, Janji Soquiño was here (he’s now in Singapore). So was Adonis Lominoque. Tennis is not the only sport in this complex. There are basketball courts, futsal and volleyball grounds, skate-boarding facilities and a soon-to-be-finished mountain-biking facility with lights. Kudos to the man behind the sports and tennis center: the SLTA president, Dato Patrick Liew. REGATTA. Next week is an even bigger sporting event: the Sarawak Regatta, which begins on Sept. 14. How long has this event been going on? What’s unique about this event is that it’s not only open to professional rowers but also to tourists. Anybody can participate in this sports festival. Sayang. Would have joined the longboat competition that streams across the Sarawak River. Will report on Tuesday from our next stop: Kota Kinabalu.